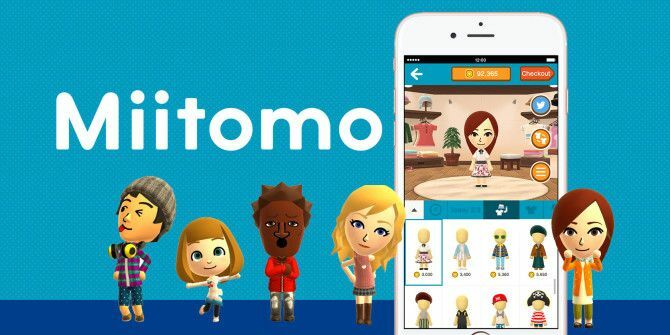 Nintendo is culling Miitomo, its first ever smartphone app. Miitomo was Nintendo’s first foray into mobile gaming beyond its own platforms, and showed the company that there was demand for its games on Android and iOS. However, after just two years Nintendo has decided to pull the plug. In 2015 Nintendo announced its intentions to move beyond its own console and release games for mobile devices. In March 2016 this came to fruition with the release of Miitomo, which is a social platform built around Miis All You Need to Know About Miitomo, Nintendo's First App All You Need to Know About Miitomo, Nintendo's First App Nintendo just released their first smartphone app! Here's all you need to know about it, including whether it's worth downloading. Read More . Unfortunately, Miitomo‘s time is coming to an end. Miitomo isn’t really a game per se. Instead, it’s a social platform where players create a Mii (the cartoon avatars introduced with the Wii) and hang out with friends in a virtual environment. You can customize your Mii, or spend your time finding out more about your virtual friends. Nintendo has announced that Miitomo will be shutting down on May 9th, 2018. Users can keep on using the app right up until that day. However, Miitomo coins can no longer be purchased, and Nintendo is planning to refund the cost of any Miitomo coins users bought but never used. Nintendo knows that shutting down Miitomo may upset its fans, so as a gesture of goodwill it’s offering bonuses and special events in the app’s final days. Users will get Miitomo coins and game tickets for logging in, and there’s also one final Miifoto event based on Miitomo memories. Miitomo proved to be popular when it arrived on Android and iOS, with millions of people downloading the app. But Nintendo has since moved onto new pastures, with mobile games such as Super Mario Run and Animal Crossing: Pocket Camp, so Miitomo simply isn’t needed. Did you download Miitomo when it debuted in March 2016? What did you think of Nintendo’s first smartphone app? Are you sad to see Nintendo shutting Miitomo down? Or is the company right to focus on different mobile experiences instead? Please let us know in the comments below!